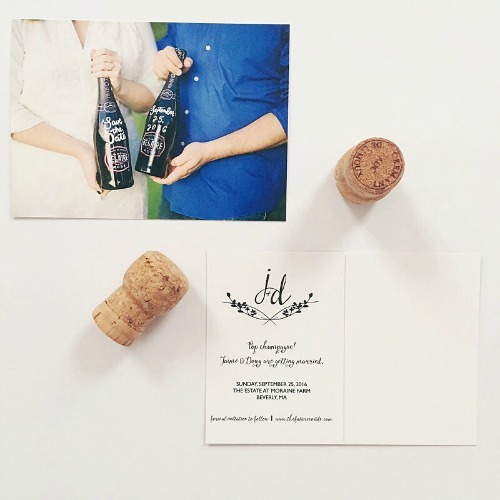 La vie Jaime : Our Save the Date postcard! Our Save the Date postcard! 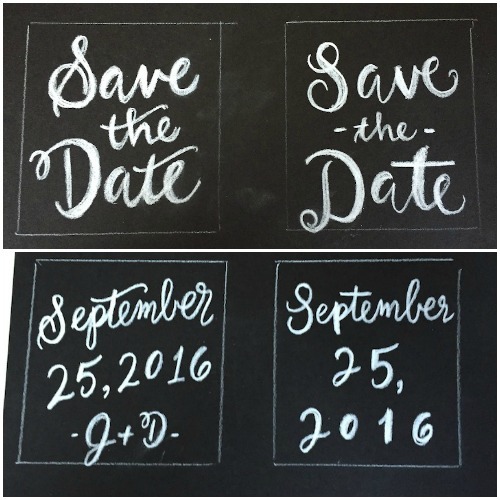 Today I am sharing our save the dates that we finally send out last week (check that off the list!). I had a hard time deciding on a save the date; there are so many options out there! DC was pretty open to whatever I liked, and thankfully, my matron of honor was up to the challenge to find some fun & unique ideas. 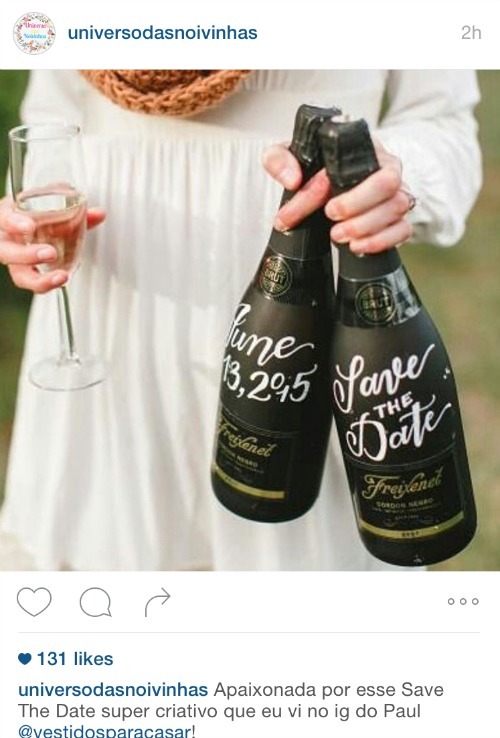 My favorite that she found was this wine bottle calligraphy save the date idea from a Brazilian wedding blogger (not sure the original source). We decided to do a slightly different photo with me and DC each holding a bottle and we'd have our wedding photographer take the shot during our engagement shoot session. I bought 2 of my favorite sparking rose wine bottles that I knew would also photograph well. Now all we needed was the calligrapher! Cue Julie of Posh & Prep who graciously offered to do the calligraphy on the bottles for us. I liked both her Vivi and Chloe styles as both seemed to match the font we chose for our save the date text. Julie came back to me with the mock-ups for both. We ended up going with the Chloe style and here is what Julie sent me before I picked up the bottles for the shoot - she nailed it! For our custom logo and text design on the back of the postcard, Brenna Donovan (DC's sister's friend who is a graphic designer! ), helped us create what would be an introduction to our guests of the initial look and feel of our wedding. After much back and forth, Brenna produced the romantic & modern look we were going for. More to come on the logo design! 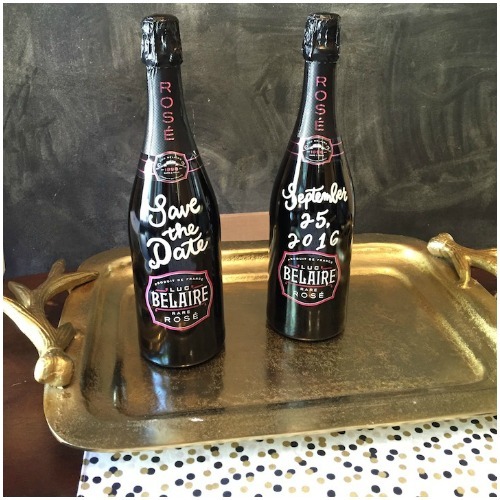 Thanks to Julie and Brenna for helping us create the save the dates! PS: This post is not sponsored or in partnership with any of these brands. they came out beautiful! what a fun process, nice work. Such a beautiful save the date!! I cannot WAIT for 9.25.2016 <3 Love you both!!! Love!!! It's so funny how even the slightest difference in calligraphy or vase sizes (!!) is so crucial ! Enjoy the madness! Wait, I'm obsessed with these. Such a cute idea!! !